Celebrating your birthday with feng shui can be a fun way to spend your day. Traditionally, the Chinese reserved birthday celebrations for infants and those older than 60 years, and for everyone else, it was spent in soul-searching. However, in the modern world, feng shui can be used to energize a birthday celebration! There are several ways of celebrating a birthday with feng shui to ensure it is as auspicious a day as possible. You can generate yang energy, select appropriate gifts and follow specific feng shui principles in planning a party. You can also use the birth element to attract auspicious energy for this special day. You can start your birthday with a prayer and a feeling of gratitude, according to your personal faith. Give thanks for your blessings and open a door or window as symbolic of inviting auspicious chi energy inside to celebrate with you. Burn your favorite incense and chant your favorite mantras or sing your favorite song. Don your best feng shui wardrobe selected based on your kua number element and color. One of the best ways to celebrate a birthday is to get the yang energy flowing throughout your home. This can be accomplished by adding the color red to your decorations, such as red balloons, red cups, plates and napkins. Gold silverware is very auspicious. Place a long mirror to reflect the table where the celebration will be held. Just be sure the mirror is positioned so the reflection of your guests doesn't chop off their heads! Play happy music to invite yang energy into your space. Turn on lights, break out crystals and open draperies to let the sun inside. Take your exercise in the sun for good yang energizing. This can be yoga, meditation or whatever exercise you practice in sunlight. You can hang runners of triangle pennants in red, orange and/or pink for a fire (yang) symbol. Ring a bell or two to attract auspicious chi energy. You want to display some symbols of wealth, health and abundance without going overboard. Remember balance is always key to successful feng shui. Be sure to incorporate some symbols of wealth, such as gold ingots in your birthday table setting. You can decorate with flowers that symbolizes abundance, health and longevity, such as peonies, orchids, lotus and cherry blossoms. Choose pink, rose and red blossoms for attracting yang energy. You can use silk flowers, but no dried flowers since these were once alive and are now dead. Cranes are a symbol of health, so you may decide to use red origami cranes as part of your party decorations. Certain foods are considered auspicious, especially when consumed on your birthday. You can use one or more of these to ensure a healthy year and long life. A bowl of peaches is considered a symbol of health since it was the favorite fruit of the immortal gods. Pomegranates, citrus fruits and apples are also considered excellent feng shui choices. A Chinese tradition is to eat a longevity noodle on your birthday. This is a massively long noodle that usually fills the bowl. The goal is to eat the noodle without breaking it to ensure a long life. Fair warning, this will involve a lot of slurping. Another good choice is dumplings, a symbol of abundance and wealth. Money is always a great birthday gift. A gift made of gold is considered very auspicious. Some gifts you should avoid include poison arrows and anything that adds up to fours. You can use red envelopes to gift money and red wrapping paper for your gifts along with red and/or gold bows and ribbons. Some Chinese believe cut flowers are strictly for funerals and never give as gifts. 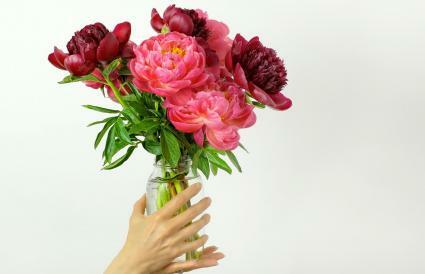 If you're superstitious, you can give a potted flower in place of freshly cut ones. You want to avoid giving certain gifts as a birthday present. This includes anything that could be considered a poison arrow, such as a knife, letter opener, sword, scissors, or other pointed and sharp object. For obvious reasons, you don't want to bestow such an object to a person. More pointedly, such an auspicious gift could be viewed as a desire to cut the bond of love and friendship you have with the person celebrating that special day. 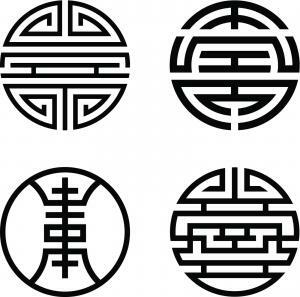 Never give just four gifts since the word four in Chinese (Cantonese) sounds like the word for death. For example, if you give a lucky bamboo plant with four stalks, your gift is a death wish. By the same token, you don't want to give a charm bracelet with only four charms or any other gift of four. If you want to wish someone a long life of abundance and health, then give a gift of jade. You can choose a feng shui symbol of abundance, such as a jade three-legged toad or a Buddha statue. A piece of jade jewelry with the Chinese character of happiness or one of the four Taoist symbols for long life makes an ideal birthday gift! You can create a treasure vase on your birthday to ensure great abundance. Put together this powerful wealth magnet on your special day to infuse auspicious energy. Be very discriminating and selective about the things you add. Follow the feng shui principles and guidelines for creating a wealth vase. For example, you only want auspicious items, so don't put money you've received from someone suffering financial loss into your wealth jar, but do include money exchanged with a wealthy person. There are certain days when different rituals can attract auspicious chi energy into your life. Depending on your spiritual or religious practices, you can perform this ritual on your birthday at the time of your birth for the most auspicious results. If you are a practicing Buddhist, then you can follow the various rituals and practices that fall on your birthday. Traditionally, the Chinese include the gestation period as part of a child's age. That means when a child is born, it is considered to be one-year-old, so his first year birthday is celebrated as the second year. Another tradition is to predict the path the child will take in life. This is done on that two-year birthday (first birthday by Western standards) by placing various symbols around the child to see which one she/he tries to grasp. For example, if the child reaches for a symbol of education, she/he will spend a lifetime studying/learning and possibly destined to be a teacher. If the child chooses a symbol of wealth, then she/he will accumulate monetary values during her/his life and likely be involved with money as a banker or other financial wealth related field. Traditionally in China, when a person turned 60 years old, they had a birthday celebration. They then had to wait 10 years before their birthday was celebrated. These 10-year increments continued until the person died. You can imagine how celebratory that 80-year or 90-year birthday party was. 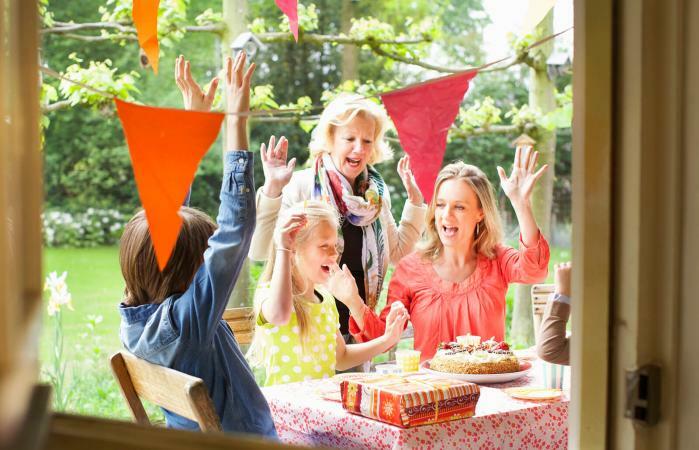 There are many ways you can celebrate a birthday using feng shui principles and rules. Choose the ones that feel the most comfortable and natural and incorporate them in your annual birthday celebrations.